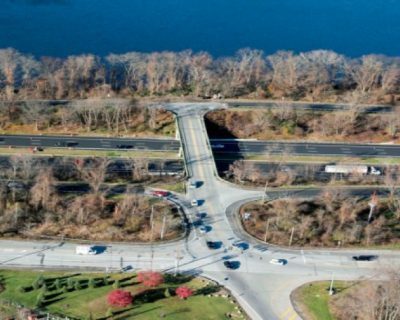 Grace Industries was awarded NYSDOT contract D263477 NYS Route 231 Safety Improvements at Northern State Parkway (NSP) Interchange in October, 2017. 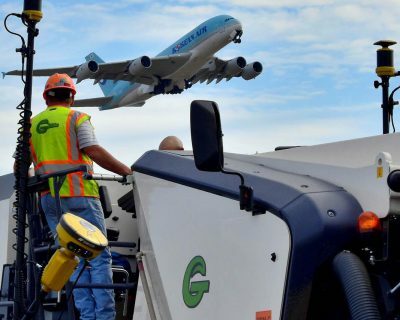 Grace Industries was contracted by the Port Authority of New York and New Jersey (PANYNJ) to perform the rehabilitation of JFK Airport Taxiway Q, QG, and Restricted Vehicle Service Road. The extremely aggressive project schedule had 11 distinct stages, totaling 140 calendar days. 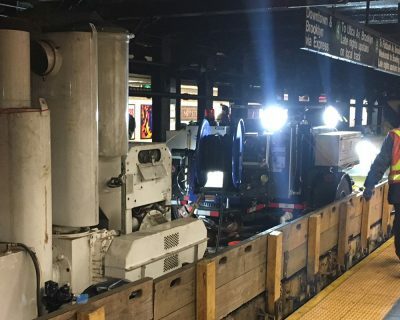 Grace Industries was contracted by the Metropolitan Transportation Authority (MTA) New York City Transit (NYCT) to perform work to clear and clean its subway track drainage infrastructure at several locations. Haugland Energy is currently serving as a subcontractor for L.K. 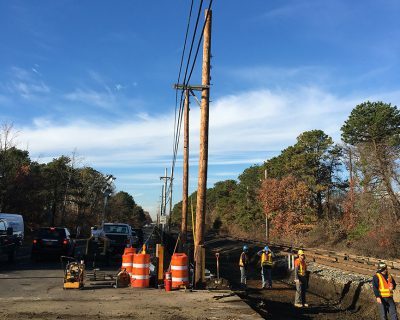 Comstock & Company Inc. on their contract with the Metropolitan Transportation Authority (MTA) to add a second track on the Long Island Rail Road (LIRR) Main Line Ronkonkoma Branch between Farmingdale and Ronkonkoma, NY. This project is part of New York Governor Andrew Cuomo’s $6.6 billion transformation and modernization of commuter rails initiative on Long Island. 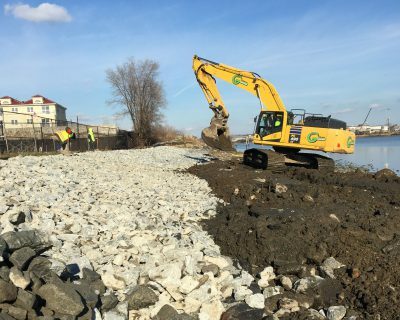 Grace Industries was awarded a contract with the Port Authority of New York and New Jersey to remove historic fill along the shoreline of Westchester Creek in the East Bronx, NY, and place new riprap to create a high and low marsh area for wetland plantings. 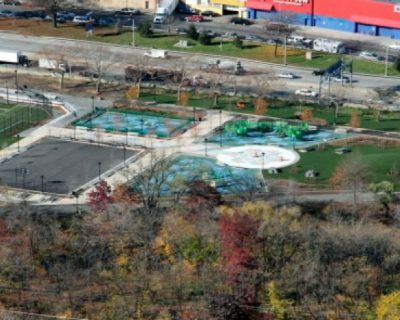 The scope includes work to mill and pave an existing playground at the Bronx YMCA, at the access point to the shoreline. Grass areas will be restored, and wetland plantings will be placed along the shoreline in the spring of 2018. The reconstruction of Route 347 includes widening the road and repaving after the installation of a new drainage system. 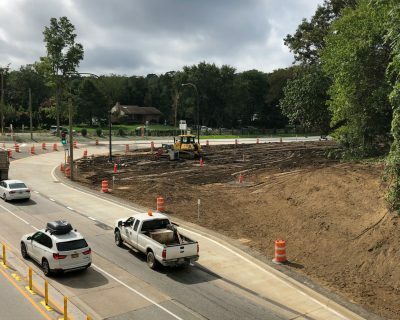 Eastbound and westbound sides of Route 347 will be widened, along with Terry Road, due to the anticipated growth in traffic density in the Smithtown/Hauppauge area. 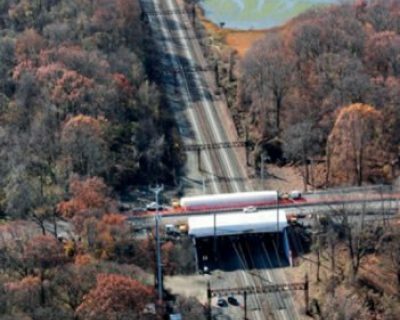 This multi-million dollar project called for the replacement of the Shore Road Circle Bridge over Amtrak, including the deck, abutments, joint materials, structural concrete, rebar, bearings, curtain walls, and all associated items required for a complete replacement. 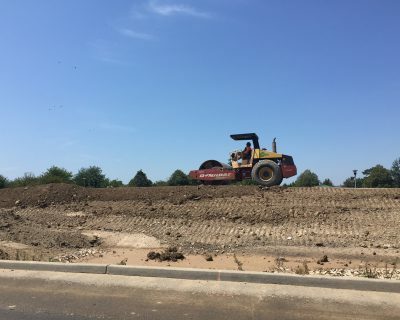 We also performed landscaping, fencing, demolition of existing abandoned substructures, and removal and proper disposal of hazardous materials. This scope of this multi-disciplined, two-year project, included the installation of a new pedestrian bridge, grading, demolition, pavement, sidewalks, curbs, drainage, lighting, fencing, retaining walls, landscaping, precast bleachers, artificial turf for a soccer/baseball field, basketball court, fountain, playground, and picnic area. The scope of this million dollar project included the repair of six existing columns and abutments through the removal of deteriorated concrete, replacing it with new rebar and concrete. Repairs were made to spandrel beams and transverse girder encasement. We removed, replaced, then restored the deteriorated architectural finish on the viaduct façade and soffit to its original condition. 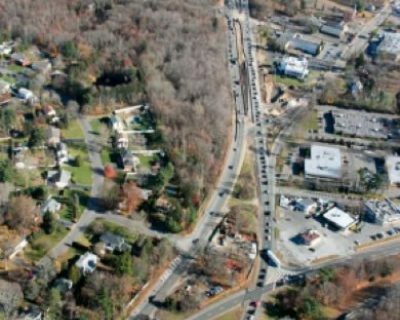 This $26.8 million dollar contract to reconstruct and widen Route 347, included new asphalt paving, drainage, signal improvements, safety and capacity improvements. 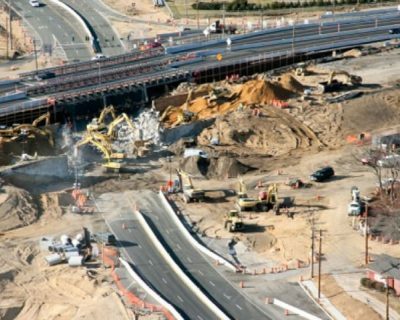 Our innovative approach to the project included the relocation of a proposed water main from the right travel lane to the shoulder, which resulted in a reduction of night closures and lessened the need to work through traffic, accelerating the project schedule and reducing costs. This multi-million project included cracking and sealing the existing concrete pavement, while providing a seven-inch asphalt overlay on a five-mile stretch of roadway. 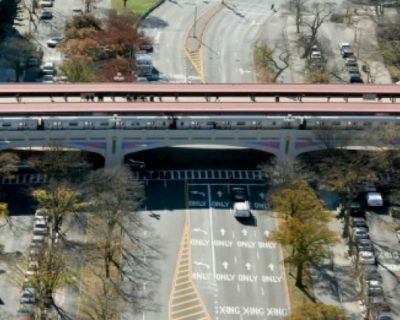 An under drain was installed on all four shoulders, and the Intelligent Transportation System (ITS system) for the State of New York was extended. 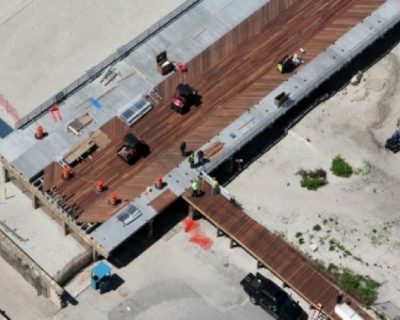 Grace Industries constructed five elevated Comfort Stations along the Long Beach Boardwalk, replacing the existing bathrooms which were heavily damaged during Superstorm Sandy. Work included construction of pile supported, cast-in-place concrete foundations. The prefabricated concrete unit bathroom structures were assembled using a crane at each location. 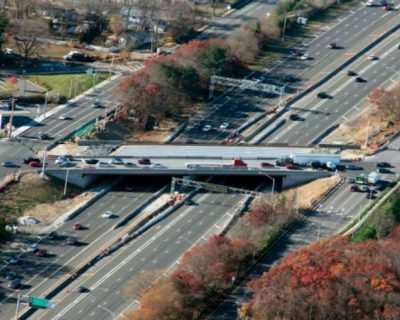 This multi-million dollar project called for the repaving of sixteen miles of the Northern State Parkway, stretching from Route 110 to Happauge. We approached this project with value engineering in mind, utilizing two RoadTec 900x on the 25-feet wide roadway, which enabled us to mill both lanes simultaneously. We also utilized Michigan wedge pavement joints to eliminate the need to back up and square up the new paving each night, increasing our productivity, resulting in an expedited project schedule and a reduction in project cost.